Please call 250-727-2125 to make an appointment. We are the oldest and best-known house call practice serving Greater Victoria. 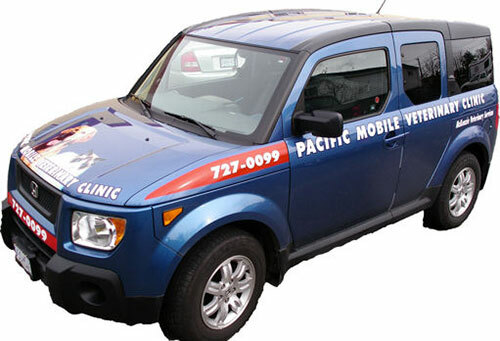 Veterinarians and Animal Health Technicians from McKenzie Veterinary Services do home visits in our mobile vehicle for pets from Sooke to Sidney and all points in between. House calls are ideal for scared cats and dogs that dislike kennels, car rides, clinics or vets! Most pets are much less frightened when examined in their own homes. We are frequently asked to perform home euthanasia for a pet. It is a blessing bestowed upon vets to be able to stop an animal’s suffering by ending their life with peace and dignity. This often emotional and difficult decision is much less stressful to both pets and owners when done in the comfort and privacy of your home. Pets are examined, sedated profoundly and when the owners are ready, an intravenous injection is given to peacefully end a pet’s life. We also provide cremation services, including private cremation where your pet’s ashes are returned in a tasteful urn. In addition, we can make a paw print which is a clay impression of your pet’s paw as a memento. If you need more information on making end of life decisions please feel free to check out the links provided, or call the clinic to speak with a member of our Client Care Team. We look forward to seeing you in your home the next time you need a veterinarian for your pet. No house calls on Sunday. In Victoria: Central Victoria Veterinary Hospital at 250-475-2495. © 2019 McKenzie Veterinary Services.